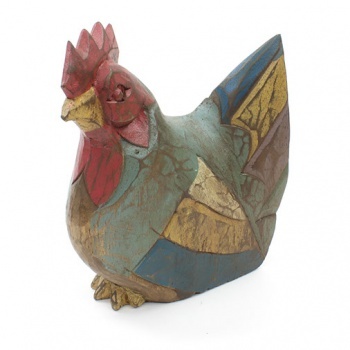 An addition to our popular rustic animals range, these handsome hens have a charmingly rustic finish to their detailed hand carving. Hen came right on time and packaged well. Nice hen, very rustic, the colours quite muted but it's ok overall. Would probaby buy from this seller again.